As a new PCB designer, you learn a lot of things: the nature of electricity, how circuits are designed and which buttons to push on your CAD tools. One of the most useful skills you will ever develop, however, is knowing the right questions to ask. That may sound odd at first, but the truth is that PCB design will always be expanding and growing. You will always be learning new design facts and techniques to keep yourself at the forefront of technology. Fortunately, there are excellent resources available to you for help, such as your contract manufacturer (CM). PCB design expert Rick Hartley recently stated that before you proceed with your PCB design, you should first consult your manufacturer for help on layer stack-ups and other technical questions. The reason for this is very simple: PCB manufacturers have built many boards in their time and have an excellent understanding of their business. They can quickly advise you on the best configuration and layout practices for your design. Your success will be their success and they will be eager to help, so don’t be afraid to use their expertise when you are working on your PCB design. The absolute best thing that you can do before starting to work on your design is consulting with your CM on the best plan of action. They will be able to advise you on board sizes, materials, and configurations. 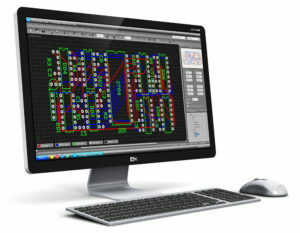 They can also help you plan your design strategy for component placement and routing. As you work with high-speed designs, they will be an invaluable source for information on impedance calculations and how that will affect your layer stack and routing. Taking it to the next level, your CM can also help you understand and plan for designing to pertinent standards and regulations. This step is essential because it helps you avoid potential quality issues from the start and save rework time later on in the design cycle. Equally important is understanding your CM’s design rule check (DRC), design for manufacturing (DFM) and design for test (DFT) guidelines. Again, you want to design properly from the start so you don’t have to retrofit corrections later. Your CM can help you design for mechanical considerations such as mounting hole sizes and clearances. Beginning from day one of your design; including laying out your schematic, your CM can be a valuable asset. And once you are ready to begin the layout of your PCB design with the information from your CM as a guide, you will create your board outline along with its keepout zones and height restriction areas. You will also configure board layers according to your design needs and the material requirements that you have already set up with your CM. The last step here will be to configure your design with the appropriate design rules. Not only will your CM be able to help you here, but they will also often have DRCs pre-configured for the design tools you use and the generic board profile you are designing. Using these rules and then modifying them for your specific needs will help you save time. If you didn’t previously receive all the information that you need from your CM regarding component placement, now would be an excellent time to check back in with them. You want to make sure that you are working with them on the sourcing of components that you will need so that they are prepared in advance to build the board. As an added incentive, they can also advise you on some best practices for placement. DFM and DFT guidelines become extremely important here as you don’t want to reach the end of the design and discover it can’t be built cost-effectively due to improper placement. The benefits of DFM and DFT on product development cannot be understated. Checking in with your CM throughout your PCB design process enables you to optimize your board outline and design configuration and ensure you are on the right track. As you proceed with your component placement, the best thing to do first is to floor plan your design. You want to confirm that you understand where all the major groups of components belong and ensure all components are accounted for. Nothing is worse than finishing up your placement and realizing that you have to squeeze in another handful of parts. Good floor planning enables you to plan for proper power distribution on your board as well as critical signal routing. Once your placement strategy is finalized, you can begin to place the components on the design. Make sure that your placement maximizes signal integrity and circuit performance while also adhering to spacing guidelines for thermal, mechanical, and manufacturing requirements. Check for adherence to DFM and DFT guidelines. Check for adequate cooling of your design. Check for mechanical fit and function. Now, it is time to route your traces. But before you start, make sure that you are on the same page as your CM. The placement review would be an excellent time to review routing strategies with them. They will advise you on minimum trace and space widths for the design technology that you are working on as well as other routing requirements like via sizes. They also will be able to help with your controlled impedance routing calculations. Route your component fanouts to allow for adequate power and ground connections, keeping the paths as short as possible. As you work on trace routing, keep in mind that you need to keep those as short as possible, with the exception of specific measured runs that have to be at a certain length. As you also need to consider crosstalk and noise, you should route your traces to minimize these effects as much as possible. Once this is complete, check back in with your CM to make sure that you have your design the way it needs to be in order to be manufactured correctly. You’re just about done, but before you mark this project as complete, don’t forget to include your CM in the process of creating your final output files and documentation. They are the ones that will be using your drawings and other output files, so those files need to be clearly and precisely created. The goal here is to create the best possible PCB and to do this, you need to maintain clear and open communication with your CM. This is reflective of a “white box” method of working as opposed to a “black box” mentality where communication is closed off. Your design intent should be open and transparent to the CM while the entire manufacturing process should, in turn, be open and transparent to you. At Tempo Automation, we can help you with your PCB design. We are ready to work with you on your board stackup and configuration, as well as answer any other questions to help you create your design. If you are ready to have your design manufactured, try our quote tool to upload your CAD and BOM files. If you want more information on how to create a good PCB design or how to incorporate your design into a CAD format, contact us.